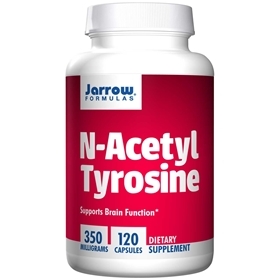 N-Acetyl Tyrosine supports brain function by improving the synthesis of the catecholamines norepinephrine and dopamine (neurotransmitters). NOTE: If you have a medical condition (especially bipolar, high blood pressure, or a history of malignant melanoma), are pregnant, lactating, trying to conceive, under the age of 18, or taking medications (especially MAO inhibitors), consult your qualified health care practitioner before using this product. Take 1 capsule 1 or 2 times per day, preferably with juice on an empty stomach or as directed by your qualified health care consultant.